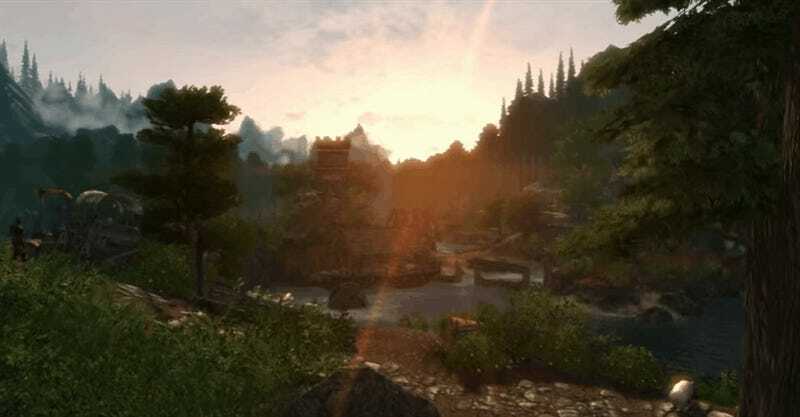 Way back in 2013, I wrote about a mod called Enderal, a very ambitious attempt at creating an all-new game out of Skyrim’s bones, with a new map, new buildings, new characters, the works. Shockingly, considering the way most of these things usually go, it’s actually finished! The team behind the total conversion (who are also behind a similar total conversion for Oblivion, called Nehrim) say it’ll be out next week, between July 1-3. The catch: because it’s being made by Germans, it’s being released first in German. English-speakers will have to wait “some weeks” for a translation. If you don’t want to wait, and just want to check out how it all looks, head to the mod’s homepage next week and download it. Being a mod, it’s free. Note that this is basically a full new game, that doesn’t just have its own story and characters, but features “overhauled skill systems and gameplay mechanics” as well.